When finding the factors of a number we look for the numbers that can be multiplied together to create that number. 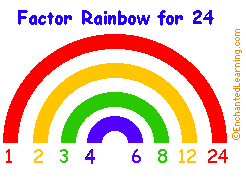 We have been using what I call a "Factor Rainbow" to keep our answers organized. 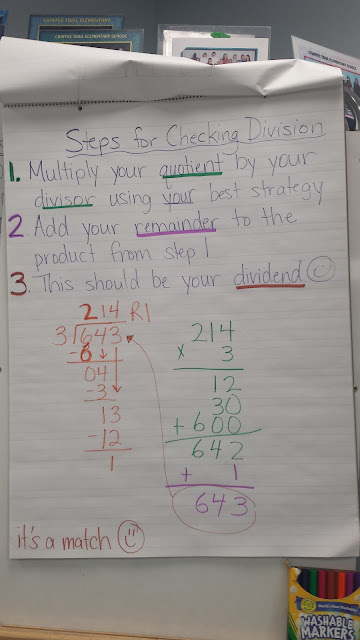 You can use skip counting or division to help you find your factors. 1. Start with the number (24) you are looking for times 1, (e.g. 1 x 24 in above example) and record the factors and connect with an arch/rainbow. 2. Counting by ones go to the next number (2) and then skip count by that number to find out if you can arrive at the number you are looking for (24). If you do, record the two factors and connect with an arch/rainbow. 3. Counting by ones go to the next number (3) and repeat the steps. ***You can also use division to help you. Here’s how, use the standard algorithm. 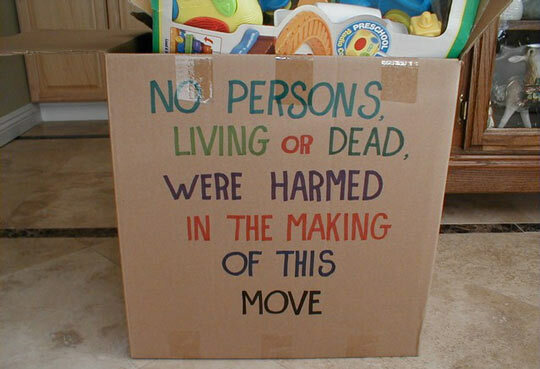 If you have a remainder then that number is NOT a factor!!! 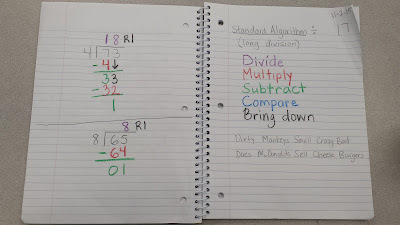 Back on November 2nd we began dividing using the standard algorithm (AKA long division). Parents you are going to love, because this is the strategy that you are familiar with, however, it may be challenging for the students because unlike the multiplication strategies it is not a conceptual strategy. 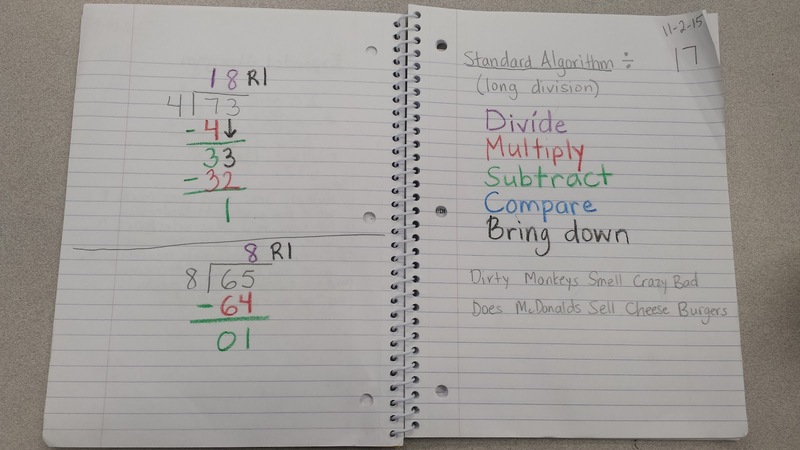 In the student's math journal we put an entry color coding the steps. I am hopeful that this colorful visual representation will help with the memorization of the steps. Below you will see my entry. 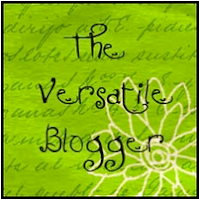 I was on a very long hiatus, but now I'm back! I would like to use this as a place to dig into our new math curriculum. This year my district has adopted a "new" math, Duval Math (a combination of Engage New York and Eureka Math). These are great curricula, however, as with anything new change is often seen as bad. There are many great aspects of our "new" math. 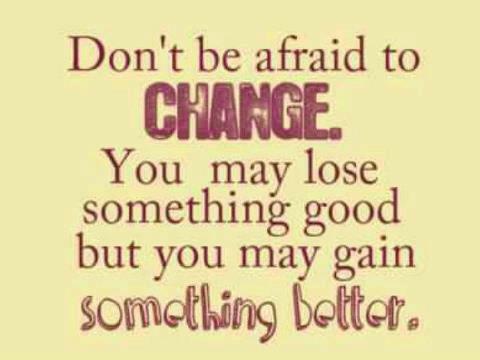 Please join me in embracing the change. 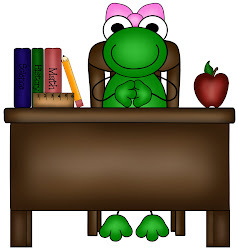 Also, be on the look out for tips to help your child be successful this year!